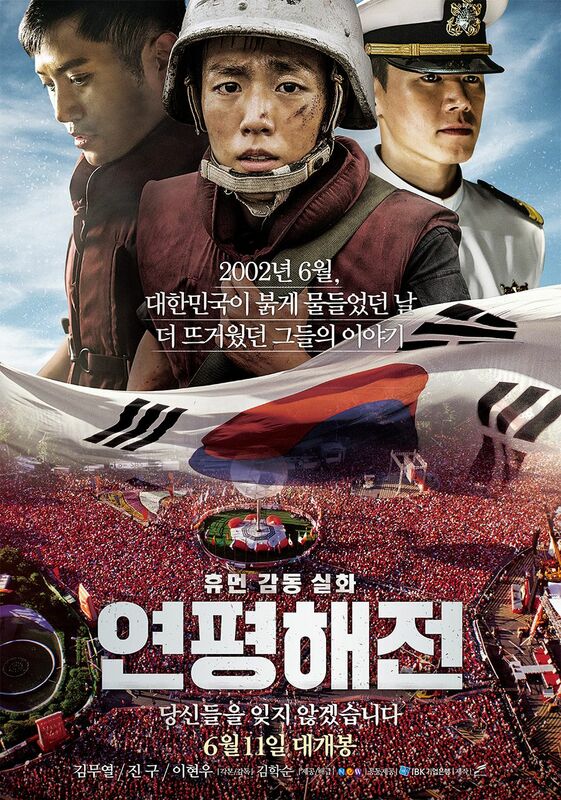 Movie follows the courageous young soldiers who fought for their country. Based on the true incident "Second Battle of Yeonpyeong" that occurred on June 29, 2002 between a North Korean patrol boat that crossed into South Korean waters and launched a surprise attack on a South Korean patrol boat named Chamsuri 357. The incident took place on the eve of the final 2002 World Cup, killing six seamen aboard the Chamsuri 357, wounding 18 others, and destroying the patrol boat. Filming began July 28, 2014 in Jinhae, South Korea and finished mid-December, 2014. One of the best Korean war movie.. Recommended for those who enjoy war movies..
wanti Apr 06 2017 12:08 pm such a great movie but sad ending..
Miro Mar 20 2017 4:41 am So sad..so heartbreaking..
Amir hamzah Aug 22 2016 12:15 pm Just wacthed the few moment ago, the movies are way too good, and the story based on true story,to be honest this movies are at the level from the west, and i've shed tears during the scene show when the crew been saved by the other vessel, untuk the end of the movies my tear wont stop. (TT_TT).. my condolanse to the family of the crew Chamsuri 357, and congratulation to the crews who created this movies, setanding ovation to you guys..
mika Jun 12 2016 11:13 pm this is a movie that you won't be able to hold back your tears! minah Apr 03 2016 1:23 am love all of the cast, so heartbreaking..
danniah Mar 27 2016 2:20 pm Feel so sorry to all courageous mariners. The movie is just heart breaking, and the fact that it is based on true story makes me tear. All three leads did a very good job. The movie is just flawless and leaves big impression. George Nov 07 2015 10:13 am So sad.. heartbreaking story.. watch this tearfully..
Annie Oct 25 2015 7:01 pm Such a sad movie.. Cried my eyes out , i can't believe this really happened. 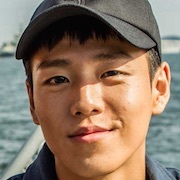 The actors did an amazing job, especially Lee Hyun Woo and Jin Goo. pichacha Sep 06 2015 6:12 am the ending really sad, the footage from the actual funeral so heartbreaking. kdramafan May 20 2015 6:28 pm I want to see you in more dramas in leading roles. 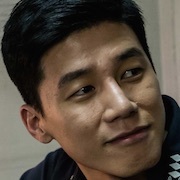 I think you are so much better then some of the other actors that are popular right in Korea. Luv you! yuri May 03 2015 8:57 pm Lee wan i hope you have a new drama with park shin hye. Tenkyi Dec 14 2014 12:32 am Omg Yess I finally get to see lee wan . And I hope he gets a leading role in a drama as well . 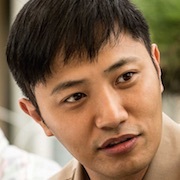 michelle Nov 11 2014 9:33 am I want to see this for Jin Goo. He is such an amazing actor! Truth of a FanGirl Jul 10 2014 1:42 am Lee Hyun-Woo cast in a new film? Awesome! Boy's got my appreciation as an actor!